Walking and cycling are the dominant modes of transport in African cities, and too often it’s a dangerous business. Pedestrians and cyclists are disproportionately affected by road traffic crashes compared to those taking motorized transport. 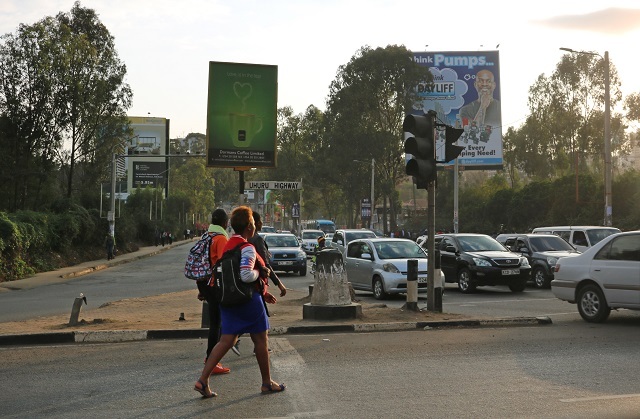 In 2015, 447 pedestrians were killed from traffic-related incidents in Nairobi, Kenya, for example, largely due to poor infrastructure and design. Recognizing this problem, many African cities are starting to develop new policy around these dominant modes of transport, but much is left to be done. A new book, “Non-Motorized Transport Integration into Urban Transport Planning in Africa,” examines these challenges and provides case studies and lessons learned for city experts and transport planners. We sat down with one of the book’s co-authors, Winnie Mitullah of the University of Nairobi, to learn what African cities are doing and what challenges remain. What is the current state of walking and cycling in African cities? Why is it so important? Winnie Mitullah: The state of walking and cycling in Africa differs across cities and countries, but is poor compared to other developed countries, especially the Nordic countries where these two modes are the norm. Yet both modes are very important because the majority of the African population, especially in cities, walks to their destinations and activities. Furthermore, everyone, including those who use private cars and public modes, has to walk at one point or another. This is intensified by poor planning of different transport modes, which often have no link to each other, or are located far from one another. Even though non-motorized transit is so prevalent in African cities, it is viewed as an “other.” Why is that, and what can cities do to change this perception? Mitullah: Viewing non-motorized transport (NMT) as the “other” is very much influenced by modern thinking, which views motorization as advancement and NMT as backwards and not for advanced life in cities. This thinking has influenced urban planning for decades, resulting in cities giving the least priority to NMT. In the last 10 years, however, African governments have included NMT in transport policies and planning in new infrastructure developments. Cities are also newly retrofitting old motorized transport infrastructure for NMT. In some cases, however, the product of retrofitted infrastructure has not been attractive to pedestrians and cyclists, due to both the proximity to vehicle road space and careless drivers, leaving them unused. Kenya is now trying building roads with higher curbs to keep drivers out of pedestrian and bike lanes. Are cities doing enough to plan for non-motorized transit? What kinds of things are city leaders doing? Mitullah: Cities are beginning to act, but they are still very far from prioritizing walking and cycling. Very few cities have formulated NMT policies, and in cases where policies exist, except for countries like South Africa, which have long history with such policies, they have not been socialized into everyday life, including planning and budgeting. In Nairobi, lobbyists are trying to convince city policymakers to prioritize and implement NMT policies. This has resulted in isolated interventions such as assisting pedestrians to cross busy roads, providing facilities for wheelchair passage and temporarily closing streets to motorists as pilot programs. However, in a city like Nairobi, the principle of giving pedestrians and cyclists priority is contradicted in a very practical way at major roundabouts, where police often control traffic for motorists and leave pedestrians and cyclists to leapfrog their way through the scrum. This situation has become more complex with the entry of motorcyclists,who seem to follow no right-of-way. The outcome of this failure to follow rules and regulations has been a high incidence of motorcycle crashes, maiming and killing thousands of riders and their passengers in African cities. You use the word “integration” in the title of your book. What do you mean by integration in this context, and why is this framing important? Mitullah: Walking and cycling in African cities for decades was viewed as an add-on to city transport culture. Formulation of NMT policies to guide city planning is a recent adventure, largely promoted and supported by UN-Habitat. Consequently, “integration,” in our book, is a call for the formulation of NMT policy in cities and embedding of NMT planning in the development of transport infrastructure. The framing is important for sensitizing city governors and practitioners to understand that NMT is not an add-on but a priority that must be planned for and integrated in the overall transport ecosystem. In many cities, cyclists and pedestrians are often seen as doing the wrong thing, especially when they have to use the shoulders of major avenues and flyways and bridges, ending up in conflict with motorists. In such cases, NMT users are blamed, and in Nairobi, reckless matatu (minibus) operators insult NMT users for getting in the way. This resonates with the modern perception of motorized transport, which has to change if African cities want to be more responsive to how most of their population actually gets around. For a city just getting started on improving non-motorized transit, what are three things you would relay to decision makers? Mitullah: First, formulate a NMT policy embedded in the overall transport policy of the city, if there is none. Second, study NMT movement patterns for good planning of NMT infrastructure and connection with other modes. And third, link NMT infrastructure with other mass transit modes in a seamless manner, including providing parking for cyclists. 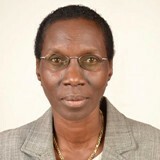 Winnie Mitullah is Associate Research Professor of Development Studies based at the Institute for Development Studies, University of Nairobi, Kenya.